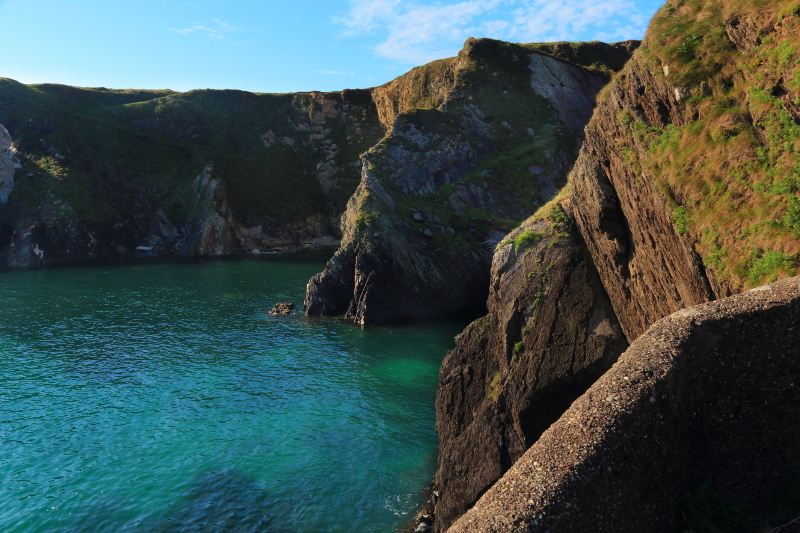 The winding path down to Dunquin Harbour. 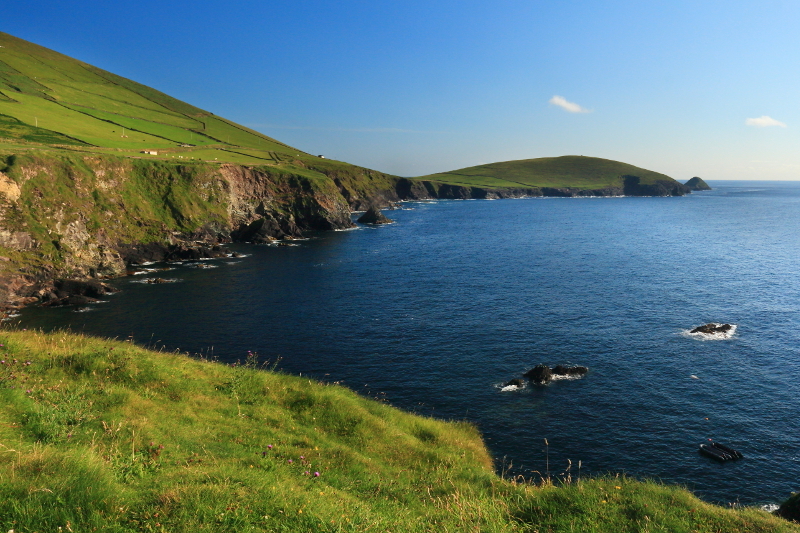 Dunquin, or Dun Chaoin, harbour was the next stop on our drive around the Dingle Peninsula. 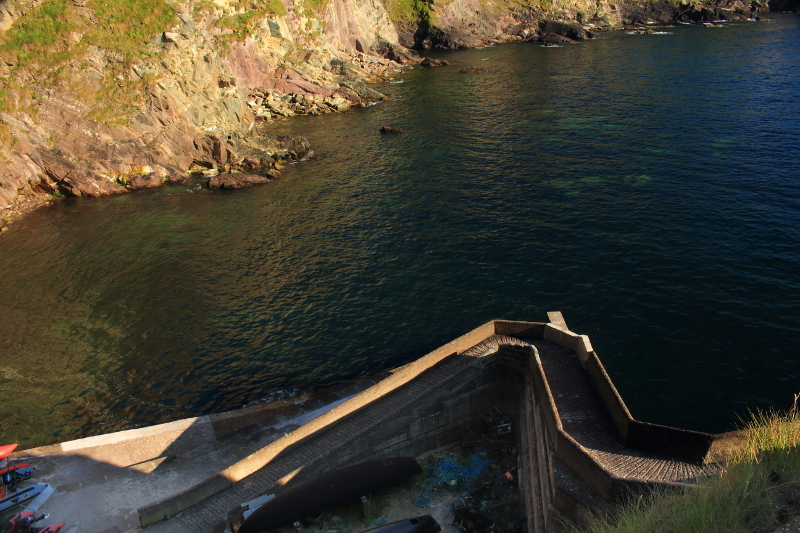 The harbour can’t be seen from the road, and is reached by a winding path. 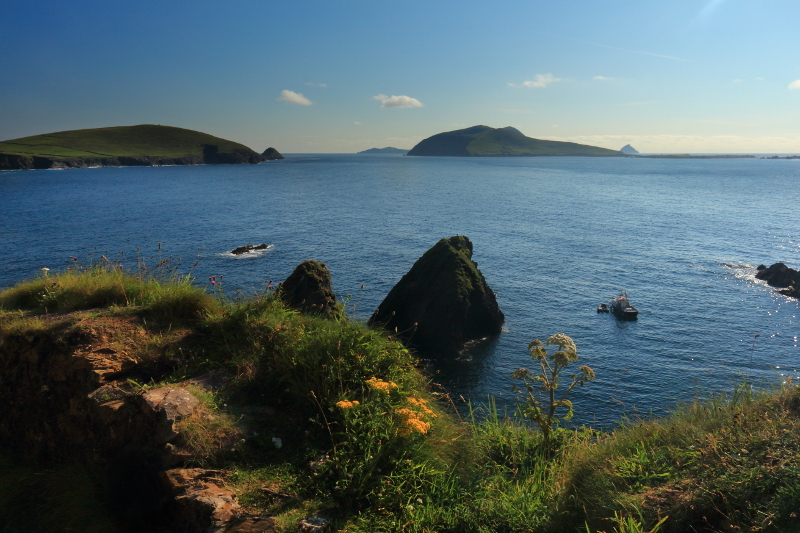 The unusual path, the cliffs surrounding the harbour, and the view of the Blasket Islands make it a much photographed place. Just one of a seemingly endless series of charming little locations as you make your way round the coastline in this part of Kerry. 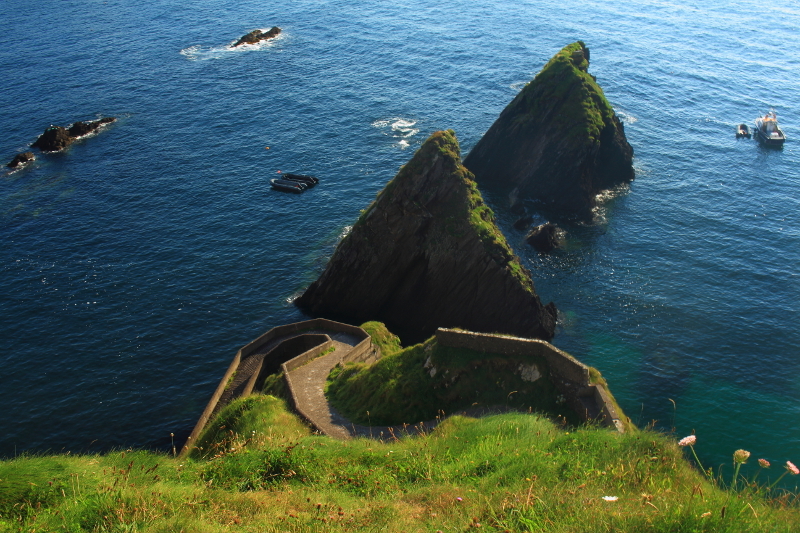 Posted in Landscape, Nature, PhotographyTagged Blasket, Blasket Islands, Dingle Peninsula, Dun Chaoin, Dunquin, harbour, Ireland, KerryBookmark the permalink. Didn’t make it out unfortunately John. So many places we didn’t have time to see, and the family kept insisting on eating and other nonsense! We’ll definitely have to go back. 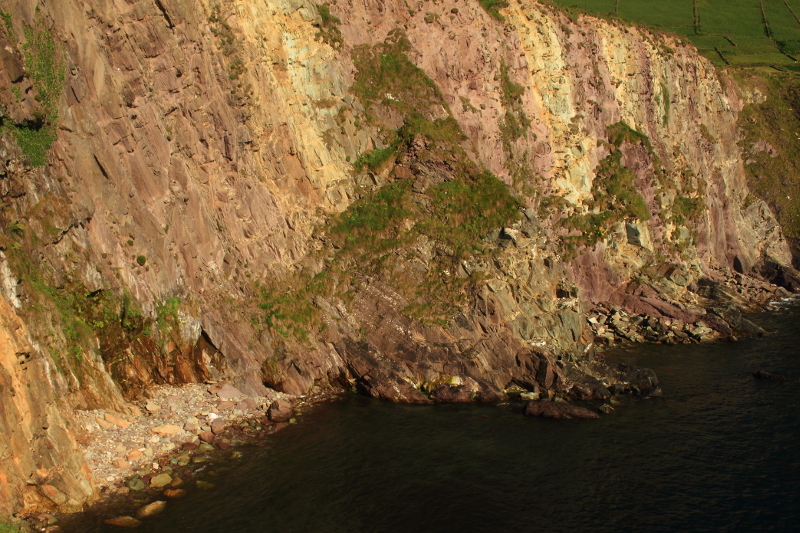 A lovely spot – and the geology looks intriguing. 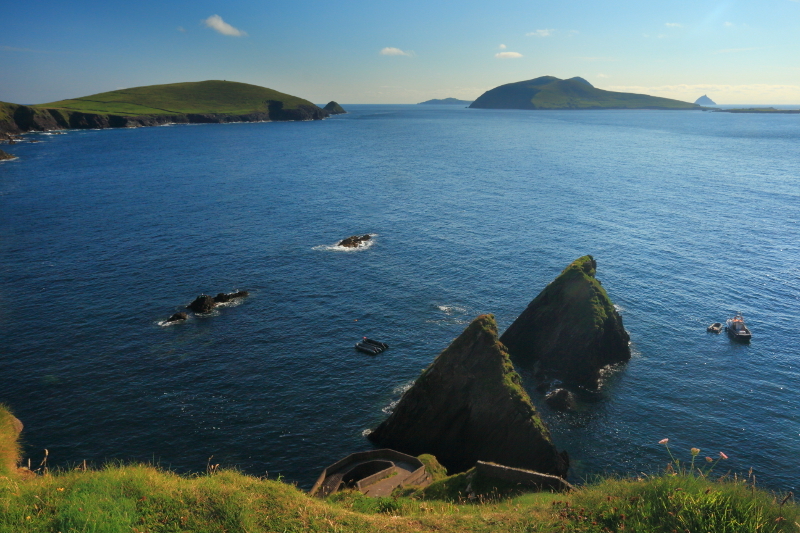 Is this the place where you can get a boat out to the Blasket Islands? It is indeed Jessica. We didn’t make it out there this time. Hopefully you’ll get a chance.